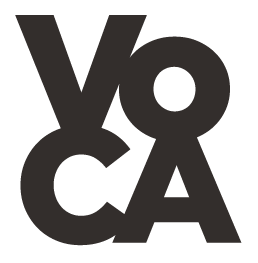 On January 26, 2018, VoCA (Voices in Contemporary Art) and the San Francisco Museum of Modern Art hosted a one-day gathering to mark and measure six years of VoCA’s signature program, the Artist Interview Workshop. Conducted in numerous cities nationwide, these workshops have gathered over 450 professionals across disciplines to connect, consider, and engage on the topic of the artist interview. 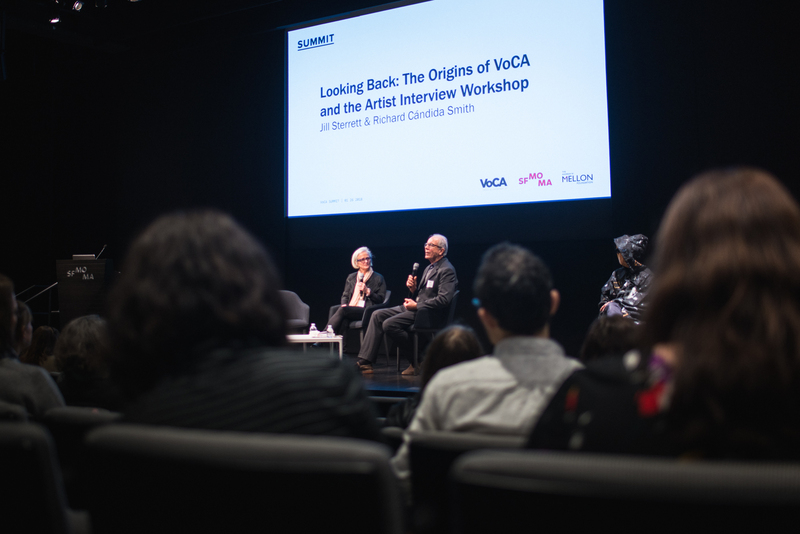 The VoCA Summit reconvened many of these (and other) diverse voices—artists, art historians, conservators, curators, educators, and more—to share their stories of success and explore new avenues of insight. By providing a platform for thought leaders and their innovative projects, the event reflected on the Workshop’s lasting impact while pointing to the practices that will carry contemporary art stewardship into the future. The Artist Interview Workshops are a unique learning opportunity for those who make, present, conserve, and interpret contemporary art to connect with their peers and gain a greater understanding of the skills needed to conduct successful artist interviews. Since 2012, these workshops have become an unparalleled resource for arts professionals seeking to engage in thoughtful, guided conversations with artists and utilize their interview skills more effectively in their work. They offer a space to explore the nature of preservation, probe the contours of memory, and consider best practices for recording and archiving contemporary artists’ own words. With support from The Andrew W. Mellon Foundation, this symposium was free of charge. If you have any questions, please reach out to us at assistant@voca.network. With the support of The Andrew W. Mellon Foundation and the San Francisco Museum of Modern Art, this Summit is free of charge. Copyright 2019 Voices in Contemporary Art.